Systemically Treating Autism provides a unique resource for family therapists and other mental health professionals who want to increase their understanding of families with children with autism spectrum disorder (ASD). 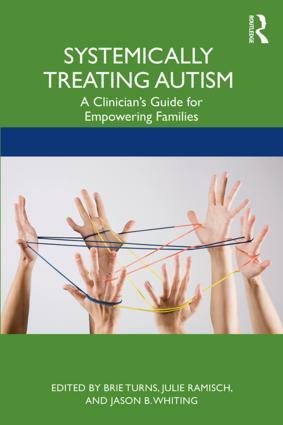 Through a combination of research, practical interventions, and case vignettes, this text covers the diagnosis of ASD, how ASD impacts the family, systemic theories that can be used when treating families with children with ASD, spirituality and cultural dynamics, and collaboration with other professionals. Providing a systemic framework for conceptualizing a diagnosis that is typically discussed from an individual perspective, this book guides mental health clinicians toward a better understanding of how they can help the entire family unit.